This is good news — but there's still much to be done to slow climate change. Offering a much-needed sign that human actions can be effective against climate change, new data published by the Netherlands Environmental Assessment Agency (NEAA) shows that global CO2 emissions largely remained static in 2016. All major emitters worldwide, except India, stayed stagnant or fell in their CO2 emissions, due to increased use of renewables and decreased coal use; the US and Russia saw about a two percent decrease, while China, European Union states, and other G20 member emissions remained static. 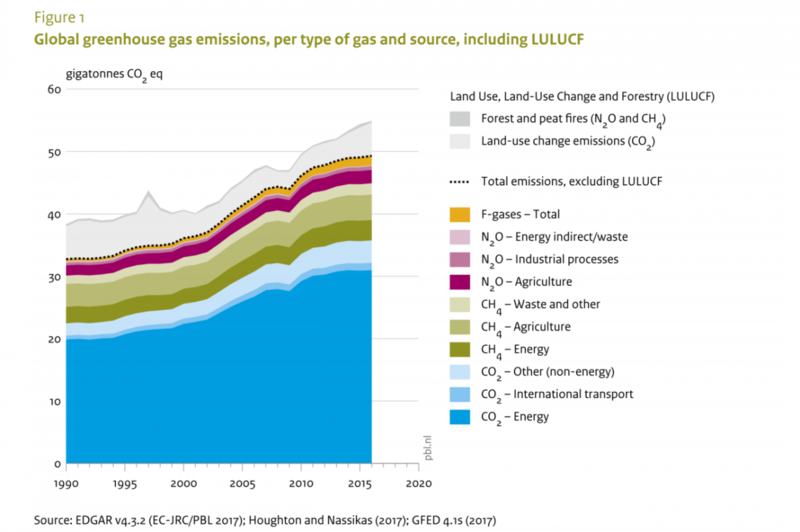 Other nations, mainly developing countries, still have rising CO2 emissions levels. However, even static emission levels mean that massive amounts of CO2 are being dumped into the atmosphere annually; more than 35 billion tons were released in 2016 alone. This CO2 is responsible for warmer ocean and air temperatures, plus more extreme, damaging weather, from droughts to hurricanes. Moreover, other greenhouse gases that trap heat in the atmosphere—particularly methane, from agriculture and the oil and gas industries—rose by 1 percent in 2016. According to the report, total greenhouse gas emissions continued to increase by about 0.5% globally. NEAA chief researcher Jos Olivier cautioned The Guardian: “There is no guarantee that CO2 emissions will from now on be flat or descending.” Still, following the near-halt in emissions seen in 2014 and 2015, even as the world economy continued to grow, this development is encouraging. Experts in China, for example, say their own coal burning has peaked, and the same is likely true in other major emissions nations. This flattening of CO2 emissions in 2016 is proof that humans can make a difference when it comes to climate change. It also offers evidence that if we do not take steps to reduce emissions, they will continue to increase; they only stopped rising after a groundswell of public opinion pushed for change. China continues to lead the world in its plans to clean up the environment. A Chinese expert recently announced that electric and hybrid cars will dominate the Chinese market by 2030. 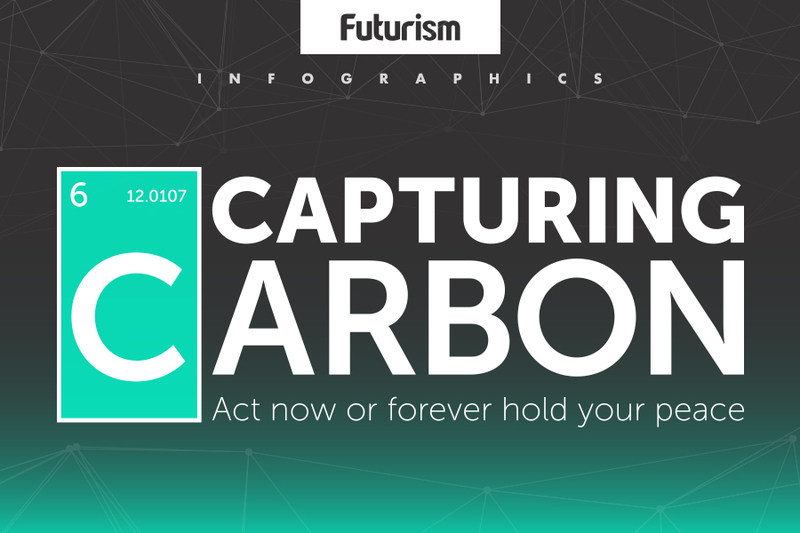 The Chinese government has begun building a large-scale carbon capture and storage plant, the first of eight. China also continues to be a world leader in renewable energy. Meanwhile, despite a lack of federal support, major cities in the US are taking action on their own. New York City has announced ambitious new fossil fuel caps for thousands of buildings. San Francisco’s public transit system will be eliminating fossil fuels by 2045. Atlanta plans to use 100 percent renewables by 2035, and Chicago wants to get there by 2025. However, effective, collective action remains critical; positive news should not lull us into a false sense of security. Under Scott Pruitt’s EPA, fossil fuel companies are no longer going to be required to release information about their greenhouse gas emissions. Research from the Center for American Progress (CAP) cites the aggressive action that China is taking as embodying the kind of commitment required to effectively fight climate change. In other words, we need to get up to speed, too—all of us.